Reporting directly to the Building Principal and Department Head where applicable with indirect report to the Superintendent as the appointing authority. •	Teaches Spanish to Middle School students. •	Meets and instructs assigned classes in the locations and at the times designated. •	Plans a program of study that meets the individual needs, interests and abilities of the students. •	Creates a classroom environment that is conducive to learning and appropriate to the maturity and interests of the students. •	Sets and maintains standards of classroom behavior. •	Guides the learning process toward the achievement of curriculum goals and, in harmony with the goals, establishes clear objectives for all lessons, units and projects to communicate these objectives to students. •	Employs a variety of instructional techniques and instructional media. •	Implements by instruction and action the district’s philosophy of education and instructional goals and objectives. •	Assesses the accomplishments of students on a regular basis and provides progress reports as required. •	Seeks the assistance of district specialists as required regarding diagnosing students learning disabilities. •	Takes all necessary and reasonable precautions to protect students, equipment, materials and facilities. •	Maintains accurate, complete, and correct records as required by law, district policy, and administrative regulation. •	Assists the administration in implementing all policies and rules governing student life and conduct, and for the classroom, develops reasonable rules of classroom behavior and procedure, and maintains order in the classroom in a fair and just manner. •	Makes provision for being available to students and parents for education-related purposes outside the instructional day when required or requested to do so. •	Plans and supervises purposeful assignments for teacher aide(s) and volunteer(s) and, cooperatively with department heads, contributes to the evaluation their job performance. •	Attends staff meetings and serves on staff committees as required. Must be highly qualified by DESE licensure standards. Must have excellent communication and interpersonal skills and possess a high level of capability with technology. Must be able to assist in the protection of students and school property, assist the principal in fire and other emergency drills as required by law and School Committee policy. 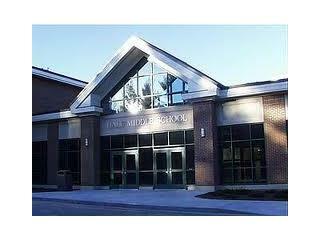 Welcome to Hale Middle School! Hale Middle School believes that all educational and school related decisions should be based upon the divergent needs and uniqueness of the early adolescent. Through a climate of respect, we must provide our students with learning opportunities that meet each student's varied physical, social and intellectual needs that maximize his or her potential. We believe that our curricula must go beyond the traditional academic offerings. Through sound educational practices and the utilization of emerging technologies, we can prepare our students for the challenges that will be theirs in the future. •Helping students develop and improve their critical and creative thinking skills. •Helping students understand the principles and responsibilities of a democratic society. •Helping students understand and successfully cope with the mental, physical, emotional and social changes they experience as early adolescents. •Developing a student's sense of self-discipline, self-respect, self-reliance and personal responsibility. •Each student is capable of learning and should be held to high expectations. •Students must be actively engaged in their own learning.Our curricula should be integrated. •Our instructional and assessment strategies must be diverse and emphasize active learning. Nashoba Regional School District is committed to maintaining a work and learning environment free from discrimination on the basis of race, color, religion, national origin, pregnancy, gender identity, sexual orientation, marital/civil union status, ancestry, place of birth, age, citizenship status, veteran status, political affiliation, genetic information or disability, as defined and required by state and federal laws. Additionally, we prohibit retaliation against individuals who oppose such discrimination and harassment or who participate in an equal opportunity investigation.